This is the one youâve been waiting for, new construction on a wooded lot that is close in town! !Tucked back in a quiet setting with over 5 acres that are nestled in ponderosa pines with views of the snow capped rocky mountains! It doesnât get any better than this!! 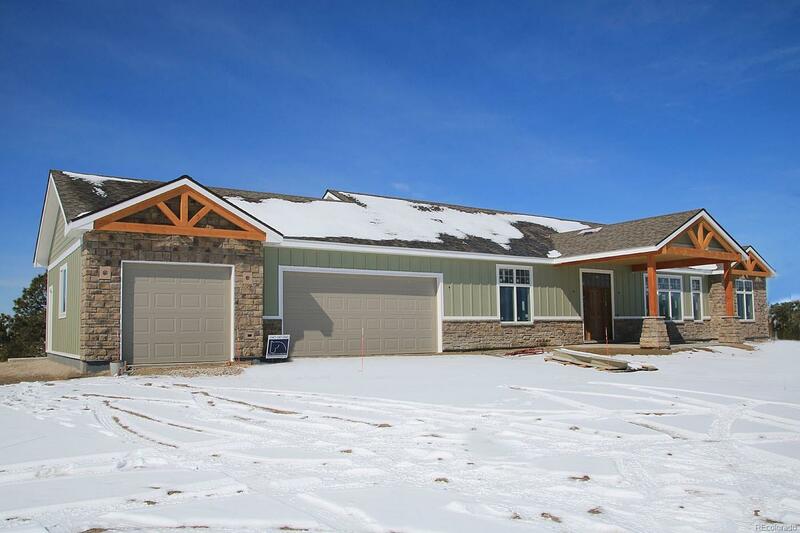 Open contemporary floor plan that incorporates finishes that are warm and relaxing, 2,150 finished square feet with 3 bedrooms, 3 bathrooms, plus 2,150 additional square feet in the unfinished walkout basement that is filled with natural light! Plumbed for an elevator! Great room that combines the family room and dining room as one with cathedral ceiling with stacked windows and gas fireplace. Master suite features a large walk-in closet (9.4 x 6.6) and luxurious bath with claw foot soaking tub. A Must See! !